FACT CHECK: Did Roger Stone Sell 'Hillary for Prison' Merchandise? Did Roger Stone Sell ‘Hillary for Prison’ Merchandise? Lock her up? Roger Stone's attacks on Hillary Clinton seemed rather ironic after his January 2019 arrest. 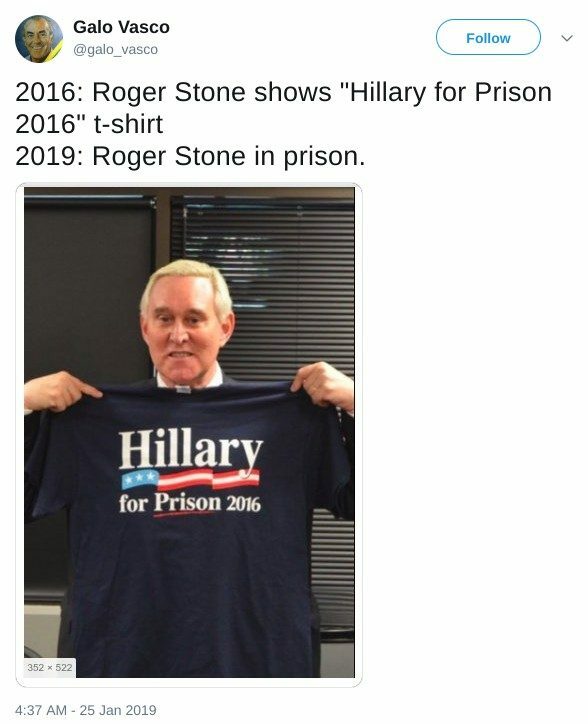 Roger Stone once marketed 'Hillary for Prison' merchandise. 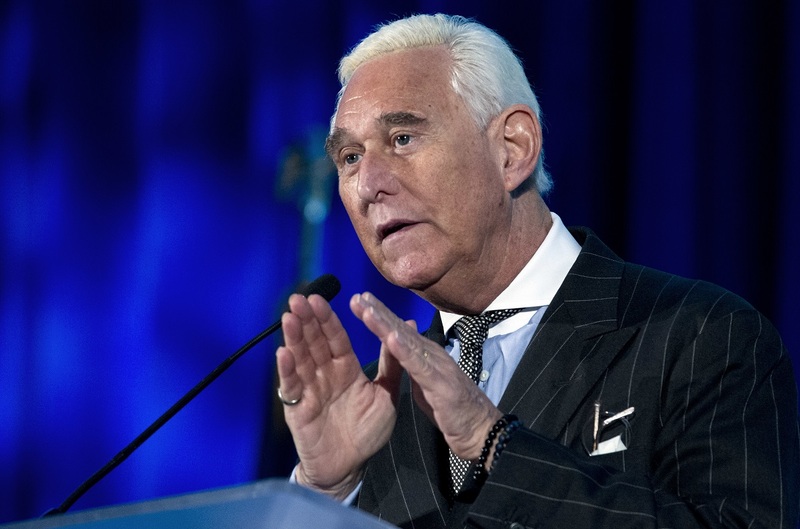 President Donald Trump’s longtime adviser Roger Stone spent much of the 2016 presidential campaign launching attacks against the Democratic nominee, Hillary Clinton. His website StoneColdTruth.com and associated social media accounts are filled with memes and doctored images that portray Clinton as old, sick, or in prison. Stone also frequently posted messages on Twitter calling for Clinton’s imprisonment and even started a petition advocating her prosecution that he shared with the hashtag #lockherup. Roger Stone, who publicly parted ways with Trump’s campaign in August, says he is supporting the Committee To Restore America’s Greatness, which first filed paperwork with federal regulators in October. “I just really think this is something that needs to be done,” said Stone, who has known Trump for decades and remained a vocal supporter, even after he left the campaign. A federal magistrate judge on Friday ruled that longtime GOP operative and President Trump associate Roger Stone is not a flight risk and can be released on a $250,000 signature bond. Roger Stone vended “Hillary for Prison” merchandise, promoted the #lockherup hashtag, and circulated a petition calling for prosecution of the former U.S. secretary of state. However, in January 2019 it was Stone, not Clinton, who was indicted by federal prosecutors. The Washington Post. 20 July 2016.